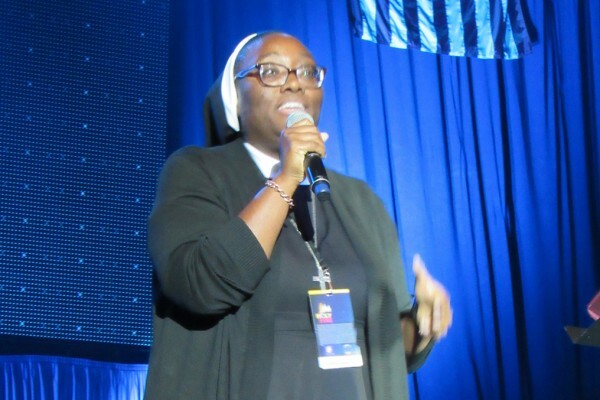 With a lot of Nazareth joy and down to earth messages, Sr. Josephine, who has been the keynote speaker at the Dallas Catholic Youth Conference in Texas and the Holy Fire Conference in Chicago, inspires young adults to deepen their relationship with Jesus Christ. The Archdiocese of Galveston-Houston will be live-streaming Sr. Josephine’s presentation at 11:00 a.m. CST on Saturday, July 21. Mark your calendars to watch this event and other keynote speakers at the conference. To stream the keynote speakers, please visit https://www.archgh.org/news-events/events/live.